Multipath effect is the second significant troublemaker for microwave links performance after rain attenuation. Undesirable atmospheric effects and ground reflections cause both: flat and frequency selective types of signal fading. 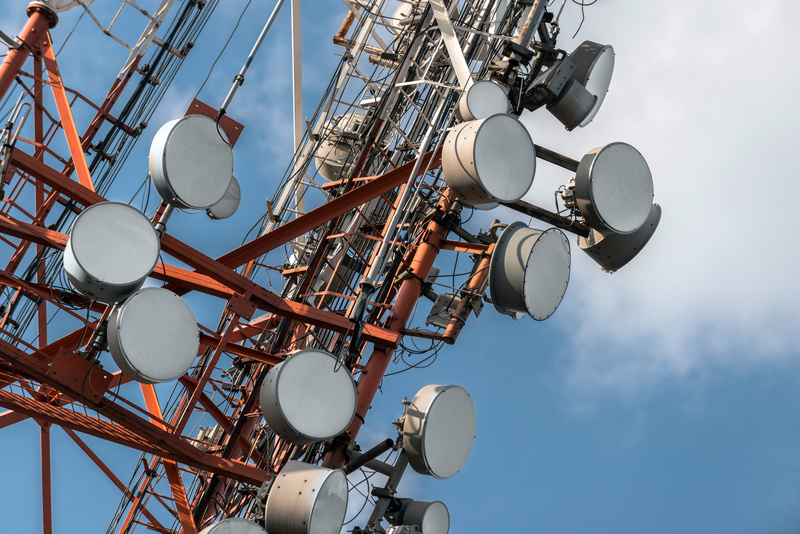 Transmission lines operating at frequencies below 10GHz are particularly vulnerable. Multipath fading must be addressed in advance at the link planning stage to prevent system outage in areas suspected to have unfavourable climatic conditions. Various diversity techniques are proven to be effective in fighting the multipath. The downside is the extra equipment cost and possible limitations for adding a diversity antenna on the tower. A better solution is to use radio wave propagation theory in order to mitigate multipath fading without resorting to diversity schemes. Strategy c: reducing the relative delay of the surface reflections with respect to the atmospheric wave. Increase of path inclination or high-low technique makes use of the height difference between the transmitting and receiving antenna. Path inclination is of such importance that it is taken into consideration in the ITU multipath fade prediction algorithm, thus affecting the multipath availability parameter. 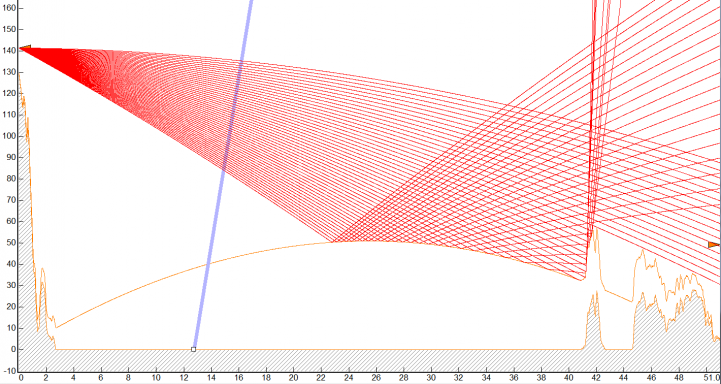 It is also indirectly included in Vigants-Barnett multipath fade prediction algorithm. This technique can be implemented either by planning appropriate antenna heights for a new installation by considering the path geometry, or by relocating the antennas on the towers for an existing installation. This approach could be quite cost-effective if it doesn`t involve building new infrastructure, but rather making use of the existing one. Fig. 1 High-low technique with a combination of shielding. The high-low technique tends to accomplish Strategy A and B to some extent with a combination of the shielding technique. Please refer to figure 1 to see an example of how these techniques work on multipath. The High-low technique ensures there are no direct reflections coming into the receiving antenna. In turn, shielding protects the antenna from receiving portions of a reflected wave by blocking radio beams using natural obstructions like hills, mountains or buildings along the path. Similarly, an antenna mounted on a roof top can be moved further from the edge to block reflections by utilizing a roof corner as a shield (fig.2). Shielding can be successfully used on its own or in combination with the high-low technique. Fig. 2 Roof corner blocking the reflected wave. Another technique which makes use of Strategy B is related to antenna characteristics and their radiation pattern. Higher class antennas have enhanced parameters, but what makes them suitable for reducing undesirable reflections? An attribute of a high-class antenna is better radiation pattern selectivity (fig. 3), which means these antennas are less likely to cause mutual interference between closely positioned links. 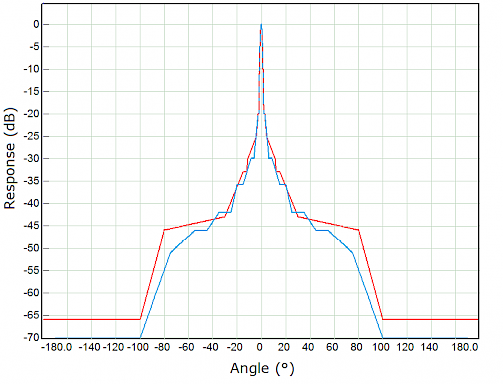 Fig.3 Antenna response (dB down from gain value) comparison between Class 2 antenna (red) and Class 3 antenna (blue). The better radiation pattern also helps minimize the effect of “self-interfering” with the reflected wave coming from the ground or from higher atmospheric layers. Generally, with the narrower radiation pattern, the power of the reflected waves received with the direct wave is lower. Higher class antennas mitigate multipath on sufficiently inclined paths and paths with naturally large clearance. The angles between the direct and surface-reflected waves become large enough to use the advantage of the antenna radiation pattern. Another option is choosing larger dishes as they have enhanced selectivity due to their form factor. Fig. 4 The effect of up-tilting: reflected waves are received at higher angles with reduced antenna gain. A similar strategy can be applied by simply up-tilting the antennas (fig.4). The positive effect comes at the expense of losing received signal power due to the intentional misalignment (6dB is the maximum loss recommended). The up-tilting technique has proven to significantly mitigate multipath fading in some cases and it is worth trying because it doesn`t require the extra expense of buying higher class antennas. Choice of vertical polarization. This brings positive results on overwater paths at frequencies above about 3 GHz because a vertically polarized wave tends to scatter and dissipate its power more than a horizontally polarized wave when hitting a water surface. Moving of the reflection point to a less reflective surface by adjusting the antenna heights on one or both ends. The method is beneficial if it is possible to move the reflection point away from a water surface to a land surface, especially to one covered with vegetation. Reduction of path clearance. It is believed that this technique could accomplish all of the Strategies to some extent: A - by minimizing the probability and severity of beam-spreading from an extreme atmospheric layer; B – by reducing the likelihood of surface reflections enhanced by this layer; C – by minimizing the time delay between the direct and the interfering reflected wave(s), thus resulting in mitigation of frequency-selective fading. A trade-off is losing some decibels of received signal due to diffraction. To sum up, each of the described techniques should be applied in appropriate conditions to fully gauge its potential to provide performance improvement. Unfavourable climatic conditions and terrain characteristics of the path must be studied during the early link planning stage to make provisions for utilization of either diversity techniques or the methods covered in this article.